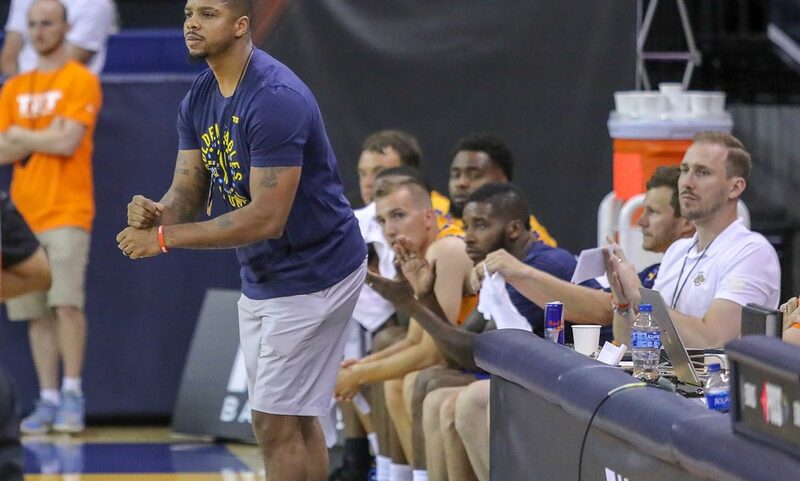 All summer we have been hearing from former Eagles and BBL alumni with connections to our club, and the email alerts were flying in today as ex-player Joe Chapman has been making the news back home in the US where he is coaching a team who are just two wins away from a $2 million prize. After a number of spells at the club starting almost a decade ago, Joe most recently called Newcastle home during our 2015-16 BBL season before retiring from playing professionally. Since then he has taken up coaching back in the states and also set-up the Chapman Basketball Academy. Chapman’s current and potentially very lucrative coaching assignment are aptly named the ‘Golden Eagles’, a team made up of former players from Marquette University, where Joe studied and spent 4-years playing NCAA basketball. Joe’s team have made it through to the semi-finals of ‘The Basketball Tournament‘ which tips-off at 11pm UK time tonight. Players from across the globe take part in this unique competition, some hoping to impress NBA scouts for big contacts while some just have their eye on the prize all whilst getting another chance to play alongside some fellow former college teammates and opposition. In Friday night’s final one player could end-up making a $2 million shot to clinch the win and the much-loved former Eagles player turned coach told the US media how he summed-up the opportunity that was within reaching distance from the team during their quarter-final using his whiteboard. One possession and one 3-pointer later their seat in tonight’s semi-final was sealed the game will be live on ESPN at 11pm (UK time).